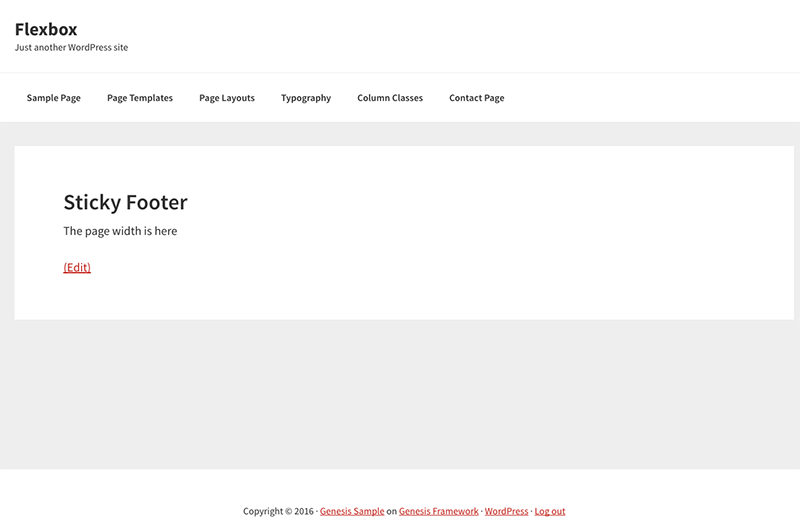 A sticky footer refers to a web page footer that sticks to the foot of the page even when there is not a lot of content on the page, without one the footer will ride up leaving the layout somewhat unsightly. This will push down the footer to the bottom of the viewport. 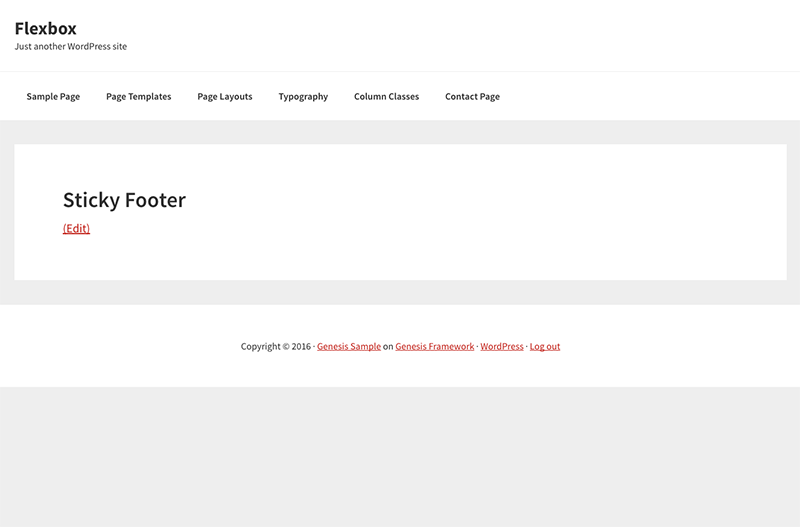 As long as the Genesis theme follows the default structure this CSS will work – so the site-container is the parent of site-inner and site-footer which are adjacent sibling elements as in the layout below. Check with caniuse to add the most up to date required vendor prefixes. Flexbox is certainly the way to go in the future. I have tried your flexbox sticky footer, and it seemed to do its job well on Chrome 62 for Windows, but on Safari for iOS 11.1.1 on an iPhone 5S it breaks the responsive design of my Minimum Pro theme. and yes! That worked well for me!